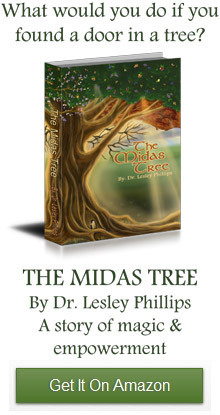 The Midas Tree » Writer's Craft » Step 5 – Publishing – What to do? Step 5 – Publishing – What to do? I would like my spiritual book to be published this year. As a first time author it is supposedly very difficult to land a publishing contract. So I am pursuing two strategies in parallel: submitting my inspirational book manuscript to publishers and print on demand. I have been researching print on demand options. I narrowed the choice down to the two major players in the POD space – CreateSpace and Lightening Source. It’s very complex to decide which one to work with or to develop a strategy to work with both and maximize the benefits of each. There are some very good blog articles on the subject. Aaron Shepard seems to be a good source. He even has a strategy to recommend. I’d like to follow his advice, although it seems to be directed mainly at American Authors and I’m not sure what the differences would be for Canadian authors. So I need to research some more before making my final decision. Here are a few more informative links 1, 2, 3. I have also been researching publishing companies and have built quite the database of organizations that I could submit my manuscript to. The Midas Tree does not fit neatly into a single genre. It is Young Adult and Adult Fiction. It is also fantasy, adventure, metaphysics, inspirational and spiritual. What’s more there’s even some science in there. As well the main character is no particular age. This makes it very difficult for a publisher to fit it into a neat box or to target a narrow demographic. My list of prospects includes children’s publishers, spiritual publisher and companies who publish new authors. I am now in the process of prioritizing who to send it out to.